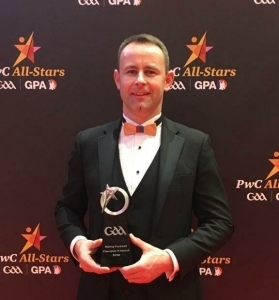 Congratulations and well done to Carrick Hurling Club and Leitrim Hurler Declan Molloy who was presented with his Nicky Rackard/Lory Meagher Champions 15 award at tonight’s PwC All-Star Awards function tonight. It is a tremendous individual award for the Carrick Hurling netminder. Best wishes also to Declan and teammates in tomorrow’s Connacht Junior Club Hurling Championship Final in the Connacht GAA Centre at 2pm. Our congratulations to Leitrim Hurlers Conor Byrne, Clement Cunniffe and Liam Moreton who were honoured with selection on the Lory Meagher Champion 15 selection for 2017. 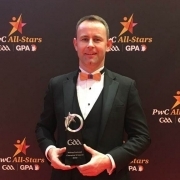 The PWC All-Star presentations took place in the Convention Centre, Dublin earlier this evening. This is excellent recognition for the lads and their team who qualified for the Lory Meagher Cup Final for the first time earlier in the season. Conor and Liam are pictured below with Team Manager Martin Cunniffe who picked up son Clement’s award on his behalf. LORY MEAGHER CHAMPION 15: Darren Sheridan (Cavan), Matthew Hynes (Cavan), Sean Corrigan (Fermanagh), Shea Curran (Fermanagh), Kevin Banks (Sligo), Cormac Behan (Sligo), Ronan Crowley (Lancashire), Nathan Unwin (Lancashire), Conor Byrne (Leitrim), Liam Moreton (Leitrim), Clement Cunniffe (Leitrim), John Collins (Warwickshire), Dean Bruen (Warwickshire), Paul Uniacke (Warwickshire), Liam Watson (Warwickshire). 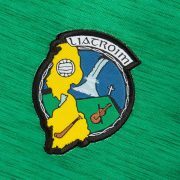 Best wishes to Leitrim hurlers and team management in Croke Park tomorrow as they play Warwickshire in the 2017 Lory Meagher Cup Final. It is a rare opportunity for the county to take an All-Ireland title and we wish the lads the very best. The town of Ballinamore will create a little bit of history on Saturday, April 29th when it becomes the first ever Leitrim venue to play host to the M. Donnelly Interprovincial Wheelchair Hurling competition. With the kind permission of BAM and the school authorities, the event will take place in the new Community School opposite Sean O’Heslin’s GAA ground. Uachtaráin Tofa Cumann Luthchleas Gael John Horan will be in attendance at the event to present the GAA Wheelchair Hurling All-Star awards prior to the games. Enda Tiernan, Leitrim delegate on the Connacht GAA Games for All Committee described the event as “a unique competition which brings together the competitive action of the GAA with the promotion of inclusion and integration amongst all of our members”. Connacht GAA is the sponsor of this event in which teams and players travel from Ulster, Munster and Leinster as well as Connacht, competing in the competition. Wheelchair Hurling is a new and exciting sport for manual wheelchair users. The games are an action packed, skilful team sport in which the competitiveness of the players and pride of representing their province rivals that of any team sport. The Interprovincial Wheelchair Hurling League and Championships were formed in 2013 and provide a competitive sporting environment for wheelchair users. The competition has gone from strength to strength with the Provincial Councils providing the platform for the players to compete. The opening ceremony commences on Saturday at 11am and the games begin at 12pm. Admission is free and all are welcome to attend. The Connacht GAA Wheelchair Hurling team is hoping for strong home support to help them in their quest to get their 2017 campaign off to a winning start. The Connacht GAA Wheelchair Hurling team have been in training under the expert guidance of coaches Adrian Hession (Mayo), Tadhg Morley (Mayo), Tim Hynes (Sligo) and Cathal Cregg (Roscommon). 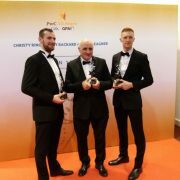 Its a very proud night for Leitrim Hurling fraternity, Zac Moradi and Colm Moreton in particular, as the lads were presented with 2016 Lory Meagher Champion 15 Awards at the Opel GAA/GPA All Stars Awards function in the Convention Centre in Dublin earlier this evening. 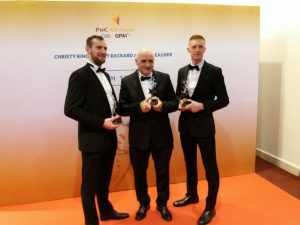 Leitrim GAA is delighted with their achievement and salutes the two lads who have been immense throughout the championship season and are worthy representatives of their hardworking teammates. A special word of thanks is extended to the people behind the scenes at Leitrim GAA Hurling, the members of Coiste Iomána and the County Senior Hurling Team Management who have battled bravely to keep the ancient game going. tonight is a reward for their efforts also. Due to Allianz Football League Division 1 fixture Roscommon v Down change of venue to Pearse Park Longford, Leitrims opening Allianz Hurling League Fixture v Longford has been moved to Clonguish GAA Grounds at 2pm Sunday. All support would be greatly appreciated! Duration of Post: Appointment initially on a shared 19.5hrs per week. Subject to funding the hours maybe increased to a maximum of 39 per week. The Hurling Games Development Officer will be responsible for developing and delivering programmes and initiatives to maximise participation and improve playing standards in hurling at all levels within both Counties. The post-holder will be required to deliver innovative activities which will benefit the development of hurling in a club, school and County environment. – To deliver fundamentals programme as an introduction to hurling through clubs and schools. – To co-ordinate the delivery of GAA coaching courses in clubs and schools. – To assist in the design and delivery of an ongoing coach education programme. – To develop relationships with key agencies in the delivery of Gaelic Games. – To deliver in-service courses for recognised groups. – To assist clubs in maximising participation through the design of activities and delivery of workshops. – To liaise with schools and clubs to develop an annual underage indoor hurling initiative. – To developLeitrim / Longford cross County competitions at various age groups. – To present at workshops as requested. – To carry out the administration related to coach education, playing and performance elements of the post. – Report directly to the Games Manager in each County and prepare a quarterly report to each County Executive. – Provide information for the updating of MIS on a weekly basis. – Undertake any other duties as reasonably required. This work programme is not to be regarded as exclusive or exhaustive. It is intended as an outline indication for the areas of work to be undertaken and will be amended in light of the changing needs of both Counties. This post is supported by funding from both Connacht & Leinster GAA. The post-holder will be a highly motivated self-starter with a deep understanding of the issues affecting the game of hurling in both Counties. The successful candidate will be required to possess at least a Level one coaching qualification in hurling and demonstrable experience in Sports Development which will enable them to develop and implementa Strategic Plan for Hurling Development in both Counties. Level 1 coaching qualification in hurling. Information technology and word processing skills. Experience in a sports related environment. For example sports development, administration, management or education. The ability to relate strategic policies to implementation stage. Demonstrable written and oral presentational and nÓgotiating skills. A knowledge of the GAA coaching structures and modern sports practices. Ability to act on personal initiative and take decisions within policy. Excellent qualities of judgement and reasoning. Excellent inter-personal skills and ability to work as part of a team. Prepared to attend workshops, meetings etc. at nÓght. Applications should be emailed to secretary.leitrim@gaa.ie OR secretary.longford@gaa.ie. The closing date is 5pm on Friday, 11th December 2015. The Leitrim Hurlers will be hoping to continue their recent rich vein of form as they head to Brewster Park, Enniskillen, tomorrow for a 5pm throw in. Following two good wins over Warwickshire and Lancashire, the hurlers are right back in contention for a place in the Lory Meagher Cup Final 2015. A win over the heretofore unbeaten Fermanagh would have Leitrim awaiting the results of the final round of fixtures on Saturday week when the finalists will ultimately be decided. Fermanagh play Sligo in their final group game and Leitrim will have completed their four game series tomorrow. Its all to play for for the team and we wish them the best of luck in tomorrows vital tie.